If you are like me, you are making ends meet by living frugally, couponing, and saving a little for a rainy day. But what do you do to pay off debts or make a little extra cash for a special trip or upcoming expense? I like to make a little extra money on the side by completing surveys online, paid emails, and earning points for shopping or tasks. There are tons of companies that allow you to make a little extra money though these means. You will not get rich off of these websites but you can earn gift cards and make a few extra bucks a month. There are some great companies out there that are reputable and pay you when they say they will. Unfortunately, there are also a lot of companies that take forever to accumulate points or do not credit you when you complete a task for them. This review section will give you my experience and opinion of many of these survey and points companies to help you choose the best companies for you and get the best payouts. You may ask how gift cards can help you pay off debt, so I shall tell you. Get gift cards for things you will pay for anyway that are already in your budget, like gas or grocery stores. Or you can get prepaid Visa cards or have paypal deposits. Then, when you get a gift card for gas, transfer the amount of the gift card out of that budget line item/envelope and use it for debt. Voila, cash for debt!!! Now run along, sign up, and pay off that debt!! MyPoints– This company offers points for online shopping, surveys, completing signup offers, and paid email. The points accumulate fairly quickly (over a few months with average use) and can be redeemed for giftcards at hundreds of popular retailers. I will be cashing out my points for a $25 Shell gasoline gift card soon! Memolink– This company is very similar to MyPoints and offers points for online shopping, surveys, completing signup offers, and paid email. The points accumulate fairly quickly (over a few months with average use) and can be redeemed for giftcards at hundreds of popular retailers. I have already received two $10 Target gift cards from Memolink! Checkpoints: Mobile App that Rewards you for Checkins– This app is fantastic and allows you to get points for scanning the barcodes of products in the grocery or drugstore. It accumulates points quickly and has low reward cashout thresholds. It’s free to download and you don’t have to buy anything, just scan a product and put it back on the shelf. I have already redeemed two CVS gift cards in just a few months! BzzAgent is a great free site that sends you products to test and review. They send great name brand products like Dr. Scholls, Burts Bees, and Green Mountain Coffee which you try and tell them what you think. Generally each product testing campaign lasts around a month so you have plenty of time to try the product and write a paragraph telling them what you think. They also will send you samples and coupons to tell your friends about the product. This is called word of mouth marketing and BzzAgent always wants you to disclose that you received free products or other perks for your review and telling your friends. You submit reports (at least 200 words, so super short) about what you thought and what you told your friends along with your friends’ feedback. Then BzzAgent will give you points through MyPoints (see above). The more products you review the more opportunities they send you! I have been a BzzAgent for a number of months now and have done 5 BzzCampaigns testing quality products. I love getting things for free, getting to provide feedback to the company on new products, and my friends love the samples and coupons. Recyclebank is an informative website that gives you points for your eco-friendly actions. Whether it’s taking a pledge to recycle more, learning about composting, or taking short quizzes, Recyclebank‘s mission is to inform consumers to help them make more environmentally responsible choices. And as an incentive Recyclebank gives you points for your actions. The points add up quickly and can be used for gift cards, online discounts, coupons, and products. Check out my longer review here and click here to sign up. 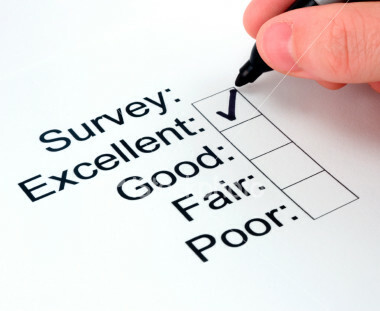 Opinion Outpost is a legitimate online survey company that pays you for surveys you complete. They offer tons of available surveys and each pays between $1.00 and $2.50 each, though some pay more or less. On average the surveys take around 20 minutes each but shorter surveys pay less and longer ones pay more. They pay promptly and when you accumulate $10 you can cash out via Paypal. They also offer cash out options for United Mileage Plus Miles, Amazon giftcards, Restaurant.com giftcards, and donations to charity. Hi! First visit. Very nice web site! I did want to point out that, at least in the Firefox browser, a visitor has to scroll *horizontally* – using the slider bar at the bottom of the page. These days this is considered to be bad design, and many visitors will be turned off by having to scroll to see the whole page. I would contact your web developer and ask about a slight modification to the code to prevent this. Submitted with respect and no offense intended. fritz b. Nice sharing.Here i wish to add another one of the way to earn online.It's website reselling business.I found this method through Google search.Now i make some good amount of money through this way.So only i would recommend this one for who are interested in online business.If anyone want to start this business,you should have reseller account.If you need website reseller account visit GoResellers.com It includes domain name registration,web hosting,web designing,seo etc..Then you can fix you own rate and start selling business.So you can make money through online easily.You can do this job from home.No need spend lot of times.2-3 hours per day is enough. The amount of money people help make may vary. Some people include remarkable success as well as can easily make a full-time profits from Secret Millionaire their story publishing. Others include less success as well as how much cash that they earn could be sufficient to fund a great an evening meal for two monthly. Another way to generate income on the internet is to have your own market web page. You don't have to own any of your own items of make money online course. All you do is offer the hyperlinks to other sites where you wish they will buy something, so can make the percentage.